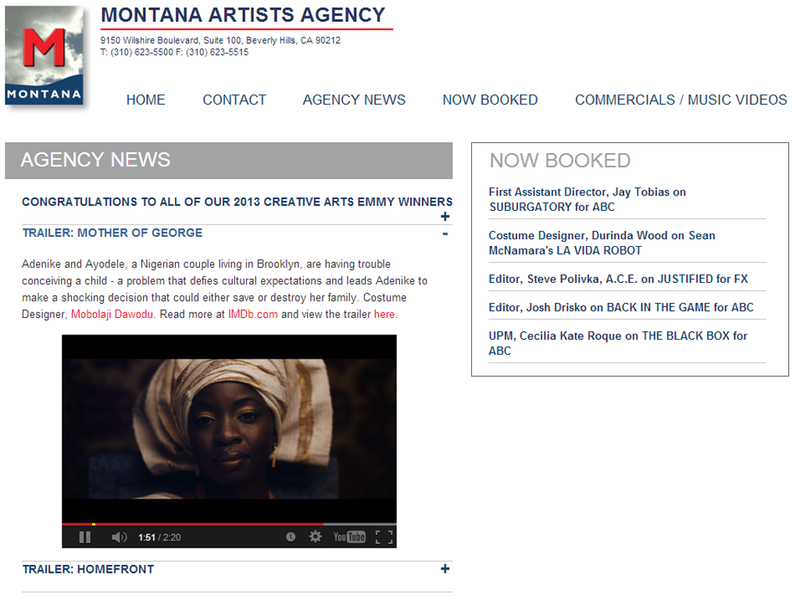 Imagistic worked with the team at Montana Artists Agency to redesign their existing home page by adding a slider and additional content areas for Agency News and Announcements. In addition to the redesign, Imagistic extended their custom-built content management system to support all three new features. 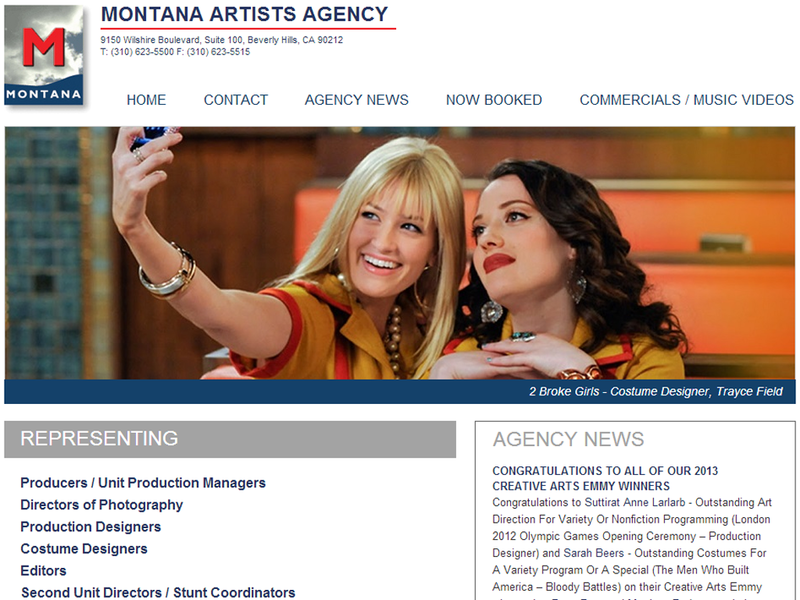 Started in 1989 to represent dp's, production designers and costume designers, this below-the-line agency later added editors, line producers, and vfx supervisors whom they represent in film, television, commercials, and music videos.